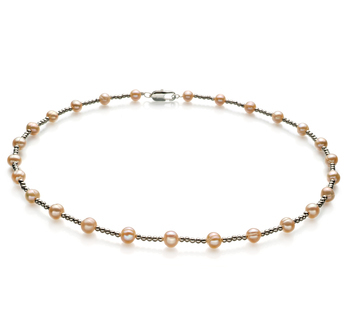 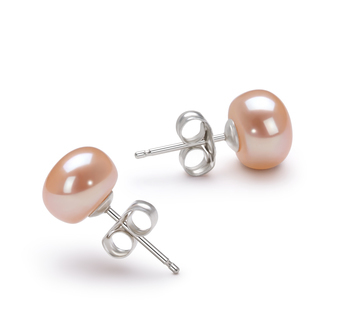 Graceful and elegant the White Hanadama Japanese Akoya Pearl is the Royal of Japanese pearls. 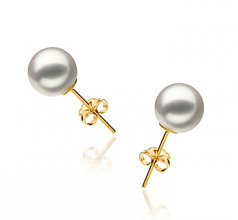 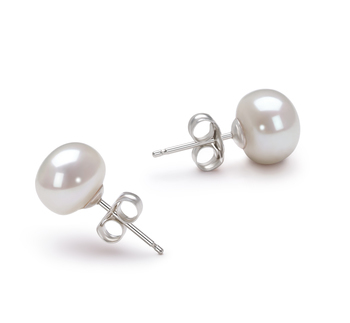 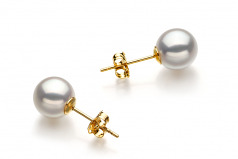 At 7.5-8mm, these magnificent white pearl earrings are perfect in every sense of the word. Highly prized for its perfect spherical shape and luster, the white pearl and yellow gold posts make for an excellent combination of colors. 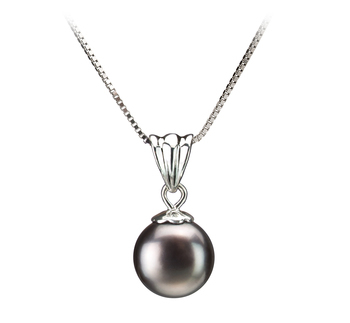 The pure luster covers the pearls in an almost mystical glimmer that sparkles in a way no other pearl will ever do. 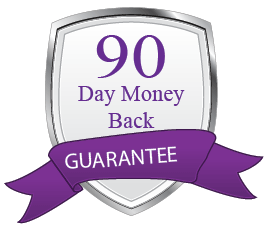 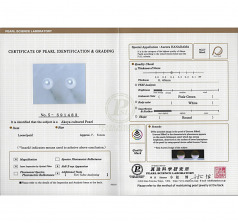 They are highly valued in the pearl industry for their overall AAAA in every factor of shape, luster, body and overall grade. 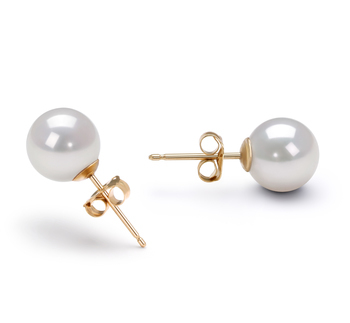 The Hanadama White 7.5-8mm Hanadama - AAAA Quality Japanese Akoya Pearl Earring Set is certified with its perfect status by the Japanese Pearl industry and is a Black Label Collection.